When a block of natural stone is processed, it is cut into slabs by a large gang saw which works much like a bread slicer. 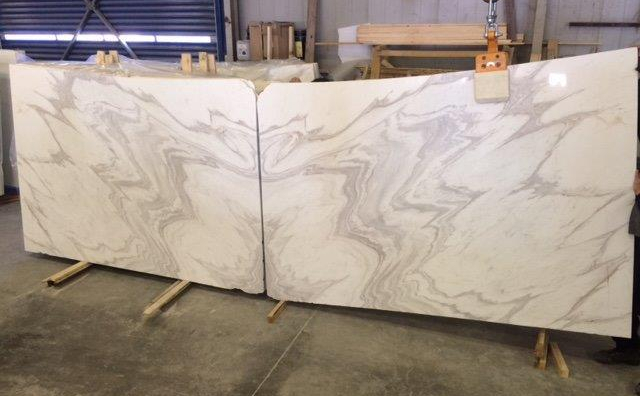 Once the slabs are cut, they are laid flat to be polished and then bundled together in the same order. Book-matched slabs are slabs which were right next to each other, but have been polished on opposite sides. When these slabs are placed side by side, you will see that they are a near mirror image of each other. Veining can be matched up to create one unbroken pattern.